Jon Butler is a historian and the Howard R. Lamar Professor Emeritus of American Studies, History, and Religious Studies at Yale University. 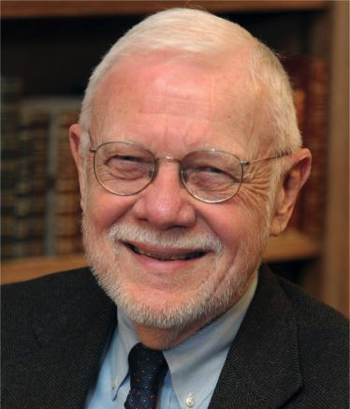 At Yale, he served as chair of the American Studies Program from 1988 to 1993, the director of the Division of the Humanities from 1997 to 1999, and chair of the Department of History from 1999 to 2004. He was dean of the Graduate School of Arts and Sciences from 2004 to 2010, and also served as interim University Librarian. He is currently an adjunct research professor at the University of Minnesota College of Liberal Arts, in the Department of History. He is known for his research on the role of religion in early American history. Jon’s award-winning books include The Huguenots in America: A Refugee People in New World Society, Awash in A Sea of Faith: Christianizing the American People, and Becoming America: The Revolution Before 1776, all published by Harvard University Press. Awash in a Sea of Faith was awarded the Beveridge Prize by the American Historical Association and the Outler Prize by the American Society of Church History. Becoming America was a Los Angeles Times bestseller and a History Book Club selection. Jon Butler is also co-editor, with Harry S. Stout, of Religion in American Life, a 16-volume historical series published by Oxford University Press for high school and junior high school readers. He is at work on a book on religion in modern Manhattan entitled God in Gotham: The Miracle of Religion in Modern Manhattan.